As we turn our attention in June to safety in recognition National Safety Month, more so than ever we look to highlight real life stories of how the right safety measures have proven to save lives in the work place. Recently, a customer of Border States reported an incident in which one of their workers was saved from serious, potentially life-threatening injury thanks to wearing the proper personal protective equipment (PPE) while on the job. The customer produces PVC sewer and drainage pipe through a process called extrusion, which calls for melting resin to 400 degrees Fahrenheit, injecting it into a die and extruding it out of the machine in a finished state, all under high pressure. Their procedures call for an operator to wear certain PPE when performing a particular operation; this includes a flame-retardant coverall, balaclava head covering, safety glasses and a heat-resistant face shield. Border States provided this customer with a Salisbury Arc-rated Face Shield, which is designed to resist extreme heat and impact. More about the Salisbury Face Shield: The visor and hard hat is a complete arc-rated flash hood with chin cup attachment. 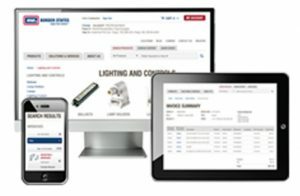 This particular style has been a mainstay in the industry for many years, with a newer version that now includes added features and refinements. 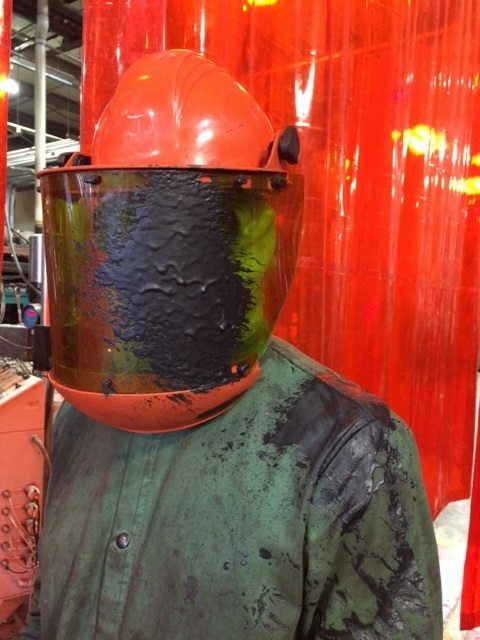 It is designed to protect against electrical arc flash and blasts where the molten copper and flash fire can reach temperatures of up to 3500 degrees F. The Border States customer uses it in their application as a precautionary measure to protect against the high heat of the 400-degree molten plastic, as it can easily withstand that temperature range. You can order the Salisbury Face Shield and other PPE supplies at BorderStates.com. Recently, while an operator at the PVC production facility was following all the company protocols and procedures, there was an accidental spray of the 400-degree molten plastic at high pressure. The operator sustained a direct hit, as you can see from the photo above. If you have a story to share about job-site safety, please reach out to your Border States account manager or connect with us on Facebook and share it with our online community. The more we make safety a regular focus of the conversation, the better we will all get at making safety a primary focus at work and on the job site.